There's no such thing as too much highlighter. 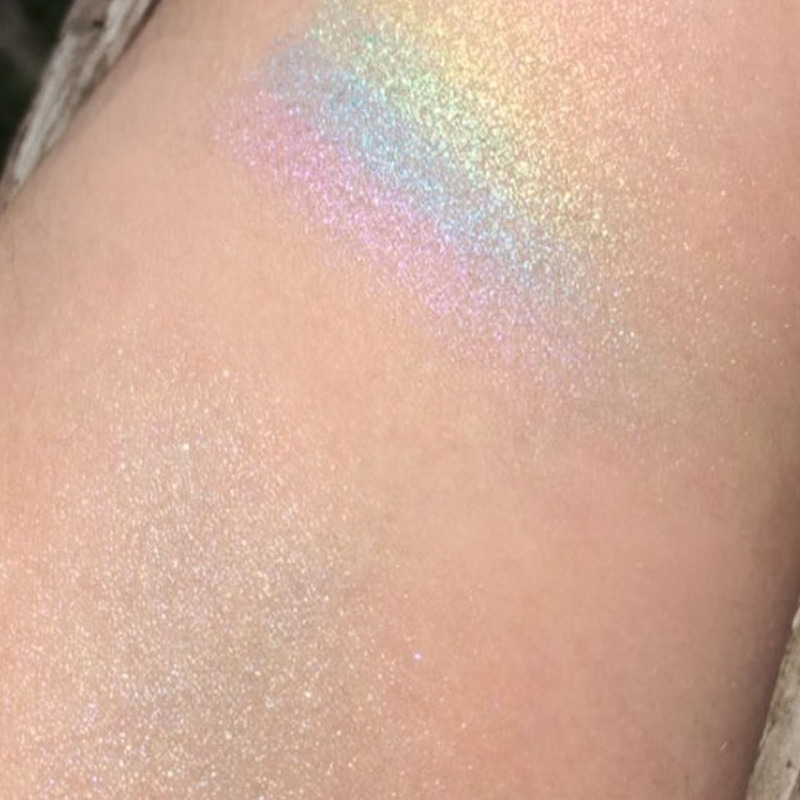 When blended, our highlighter creates a versatile shimmering silver. 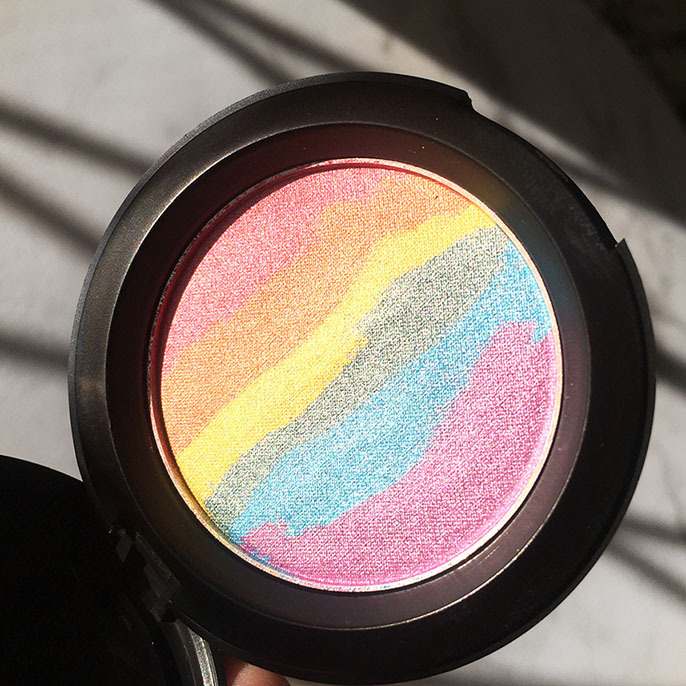 With incredible pigmentation it's easy to layer on if you want to go for a bolder look. The colors can easily be used separately or all together. These products are handmade and each one is unique, altho the pattern may change slightly all colours will still be visible. Want to be the first to know what happens and receive exclusive product details? Talc, Mica, Mineral Oil, Silica, Nylon Powder, Dimethicone, Isopropyl Palmitate, Squalene, Titanium Dioxide, Magnesium Stearate, Tocopherol Acetate, Phenoxyethanol, Ethylhexylglycerin, May Contain: FD&C Yellow No.5 AI Lake(CI19140:1), D&C Red No.7 Ca Lake(CI 15850:1), Iron Oxides, Ultramarine Blue(CI 77007), FD&C Blue No.1 AI Lake(CI 42090:2).